As an IT decision-maker, you can please some of the people some of the time. But can you please all of the people all of the time? You’ve got your basic mobile users; those are the users who check email on the go, and maybe peek at a report while riding the train to work, but are mainly at their desk during the day. Then you’ve got your highly mobile users, who are rarely in the office. They’re processing orders, reviewing documents and collaborating with customers on their computing devices in all sorts of locations. They come to you with very different needs. How are you going to strike that balance? Can you deliver productivity to some and convenience to others? For many, the decision will come down to a choice between a laptop or a 2-in-1. In a sense, the decision matrix is simple. End-users who need to roam or share information with customers in a one-on-one setting will benefit from a 2-in-1, a sleek portable device that can function either as a keyboard-enabled laptop or as a tablet. Those who need a larger screen or run high-powered software will lean toward a laptop. But there are finer points to the laptop vs. 2-in-1 debate, and it’s worth diving into the details. Collaboration: For a highly mobile user who performs customer demonstrations, or collaborates with clients over documents, the 2-in-1 format is light and sleek, easily portable. It can be a great fit for those who need to share pictures or review orders while on the go. Of course, a laptop with a larger screen may give it an edge for more visually intensive presentations or files, which may be a consideration for architects, engineers and creatives. Processing Power: Interestingly, this one is just about a tie. In the laptop versus 2-in-1 debate, the laptop used to be the clear winner in terms of speed and memory, but that is no longer the case. Samsung’s Galaxy Book, as an example, sports an Intel Core i5 processor for fast processing speed and 8GB of memory ensure easy multitasking — sufficient compute power for most applications. That said, those with very heavy computing needs — researchers or data-driven financial professionals — may still prefer a high-end laptop for running specific software or high-memory applications. See how a 2-in-1 solution offers the benefits of being mobile without sacrifcing productivity. Connectivity: In weighing various devices, highly mobile workers may need to balance their job needs against the varied form factors. A laptop may weigh more, for instance, but it may also have additional USB ports and other connection options. The lighter 2-in-1 device might not have the same connectivity options, but its compact form may be more suited for workers whose need for portability outweighs the need for ports. Battery Life: This varies from model to model, but 2-in-1s like the Galaxy Book can run for up to 11 hours, while laptops come in different sizes and configurations, with some able to keep going for up to 12 hours. It’s important to consider a range of factors when looking at battery life. What will be the worker’s proximity to a power source throughout the day? How long will the battery last in comparison to real world applications? Will the user need a fast-charging capability? All these will help determine the most suitable form factor for a given user. Cost: Prices will vary, naturally. Laptops are available in a wide variety of sizes, configurations and pricepoints, but the 2-in-1 still commands a price premium for a device with similar performance specifications. That said, it’s important to look beyond acquisition cost when measuring the economic value of mobile productivity tools. As an admin, you should consider what types of devices and purchasing model will be the most sustainable for the organization overall. Within your IT role, a range of factors go into picking the right mobile device for the highly mobile workforce. It’s important to consider the use case: Who will be using the device, for what task, under what circumstance? User preference matters too. While specs are important, employees need a device that they feel good about using daily. Ultimately, you’ll have to look at the full scope your workforce needs to determine which form factor is most likely to boost productivity. Find out why the 2-in-1 is the device of choice for today’s road warriors. Download this ultimate guide to identify which device will increase your employee and IT efficiency. Are 2-in-1s the Ultimate Productivity Tool for Business Users? 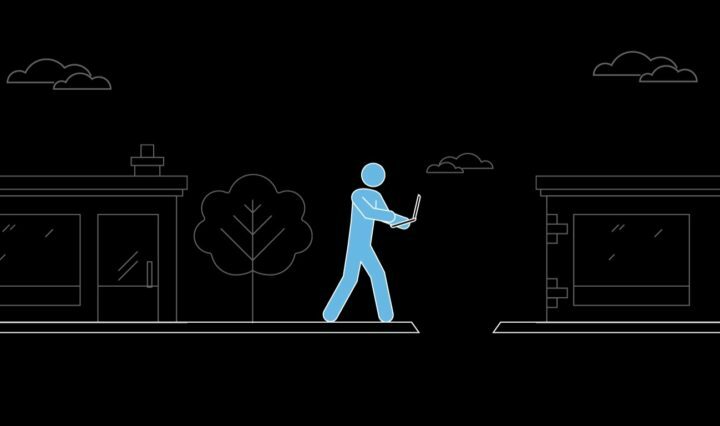 Tablets vs. 2-in-1s: What’s the Better Fit for Your Mobile Workforce?